Happy Holidays from Tres Komikeros! Hello everyone, on behalf of John and EJ, I would like to wish everyone happy holidays and apologize to our loyal listeners that we won’t have an episode this week. We’re taking a small breather and enjoying the company of our families, just like everyone should be doing. 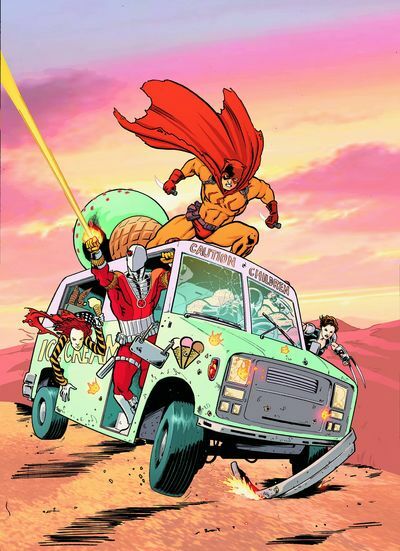 Look out for our year-end episode next week where we’ll feature our personal bests and the worsts of 2008’s comics. 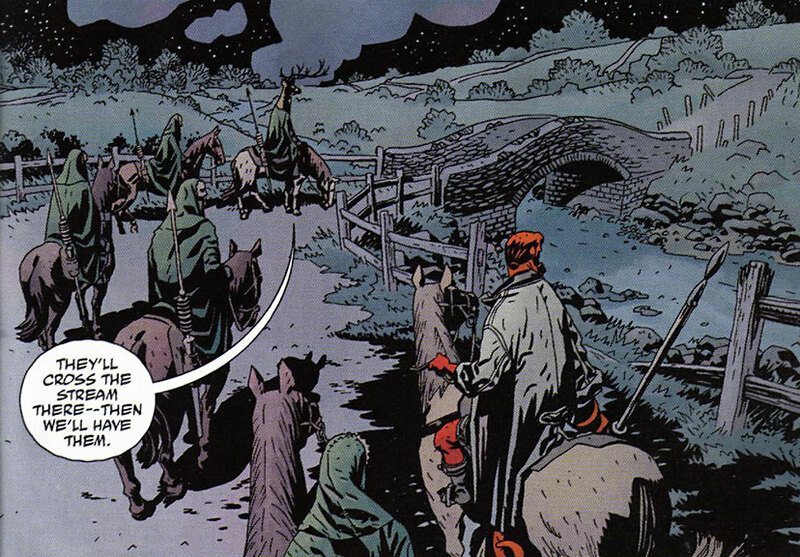 In the meantime, go and spend more money on comics for Father Christmas. Hello ladies and gents! Two more days and it’s Christmas! And a few more days before our year-end special episode! Now that’s two things to look out for in one week! Thanks, Santa. And this week, we showcase a cover from megasuperstar artist Marko Djurdjevic! What I like about this cover aside from the gorgeous and anatomically accurate artwork, is the emotion it evokes to the reader. 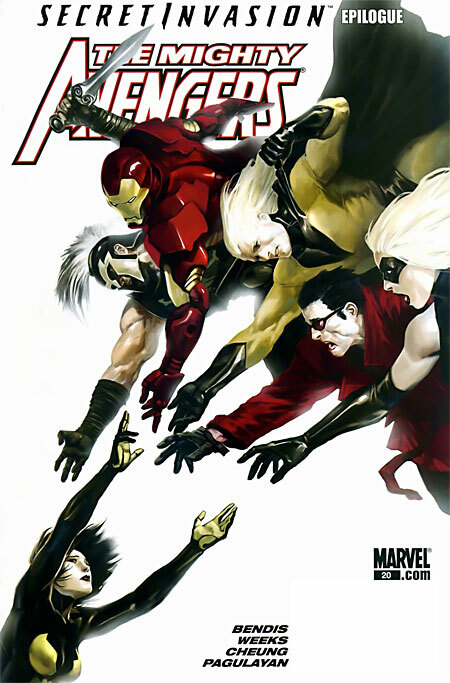 This actually made me go “BAWWWWWWWW” especially after reading Secret Invasion and its little cousin titles. Marko is an amazing artist. His compositions are awesome. His anatomy is awesome. His colors are awesome. His name is awesome and manly. It’s the subtle things in this cover that got to me. The expressive eyes and the hands. Sometimes the small things deliver the blow, the details give the impact. And when I say details, it’s not about hatching. Awesome, yes? 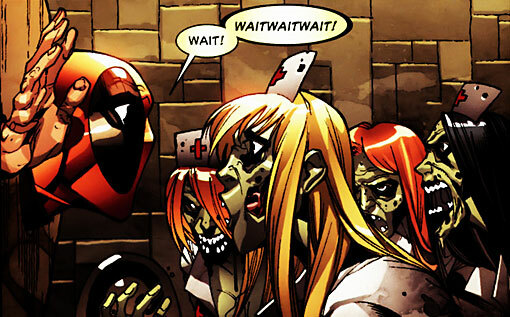 Deadpool puts "fun" in "comics". That’s all my energy can spare for today! Tune in later this week for our YEAR END SPECIAL EPISODE! P.S. Next time, I promise to be fully awake when doing this column. 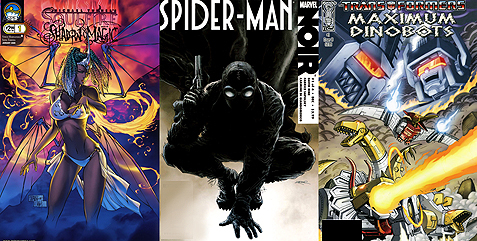 This week we opted not to review the usual books and decided to experiment with these number ones: Soulfire Shadow Magic #1, Spider-Man Noir #1, and Transformers Maximum Dinobots #1. Wait! Come back! We have a round of quickshots that showcases our favorites of the week and also discuss Soundwave’s incarnation in the second Transformers film, the new Crow film, and trade thoughts about just what the term widescreen comics really means. 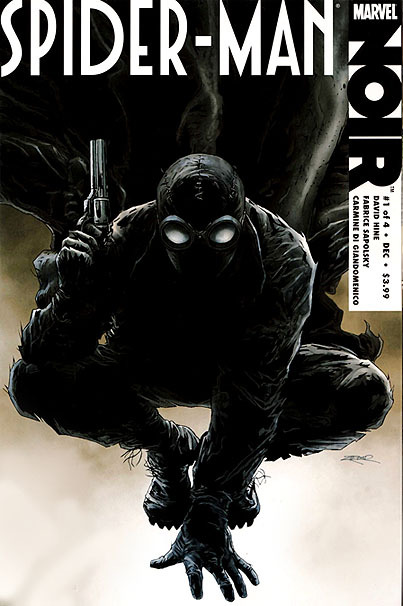 Spider-man goes noir-ish in this new Elseworlds-esque thing Marvel’s playing around with. I have no idea what to expect, but it the X-Men thingamagoogle was any indication, this should be pretty sweet. What are you guys looking forward to? Wow, how time flies by so fast. I didn’t notice that it’s that time of the week again! Today, I shall present the cover that catched my attention. The prettiest girl in the playground, the shiniest among the silvers, the queuerest of the queer, the strangest of the strange, the cover of the week by Mr. We’re waiting for Planetary #27, John Cassaday! Well, well, well, John Cassaday. We haven’t seen anything new from him for some time now. The last one I read was his Astonishing Run, and I think he’s been doin covers here and there. But who’s to complain? His art is great, and what really attracts me to it is how he does shadows. It has that inked brush / charcoal stroke feel that gives a level of realism to his drawings. Specially how he uses them for shadows. 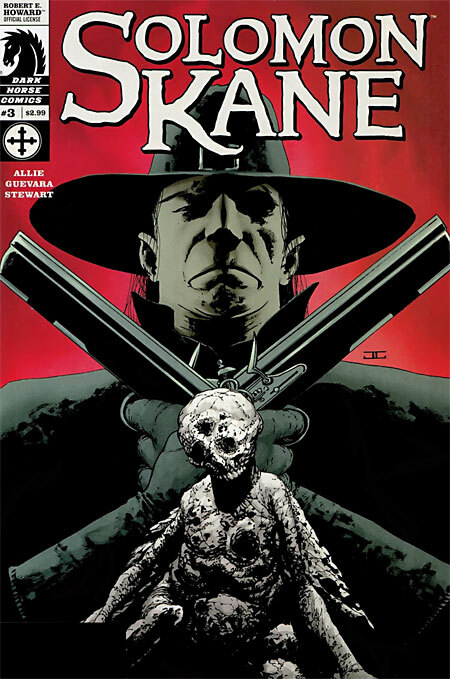 As for this cover, what attracted me was the simplicity of the design, with Kane holding his guns, crossed, and that thing in the middle complimenting the simple shapes of the background with it’s details and small texture shadows. Good example of contrasting to focust attention on a page. Now, I shall go back and continue waiting for Planetary #27.
that's what they all say, miss. Ok, that’s it for me! See you in a few days for some more comics goodness! After douching away about brand-new TV sets and messing around in comic shops, EJ, Alex, and John review Secret Six #4, Elmer #1, and Final Crisis #5. They also react to what they’ve seen of the live-action Dragonball film and the whole gender-switching trend in superheroes as of late. Lastly, the boys have a panel discussion about which of the big two universes they would like to live in as civilians. In the previous issue, Secret Six #3, our favorite villains somehow got their hands on a “Get out of hell free” card made by the devil himself! This issue fills us in on exactly how a team of baddies reacts to a revelation like that, not to mention a whole cadre of other evildoers who are after them and the prized artifact! Didn’t we tell ya it’d be a DC week? Giggity-giggity-git! It’s that time of the week again where John spams me with IMs saying “I MISS YOU”, and I post the best of the best of the comics covers from last week’s releases. Now, without further delay, let me present, Jay Anacleto and the magic pens! What I like about Jay Anacleto’s art is how ultra realistic it is. I can’t name that many people in the comics world who can do ultra realistic art and still be able to draw “moving” and dynamic panels. There’s nothing much to say about this cover because the art speaks for itself. I heard he used to draw with just ballpoint pens, and aside from being a comics artist, Jay Anacleto is a full time dentist too! I’m not sure, feel free to correct me, but that’s just JAWSOME! I suggest checking out his other stuff, mainly Aria and Spawn: Godslayer. That’s it for me, stay tuned for more comics goodness! The Tres Komikeros are back, people! Look grateful! EJ, Alex, John skip the number 13 to bring you an oversized episode 14, making up for last week’s hiatus. The boys review the conclusions to DC’s Batman R.I.P. 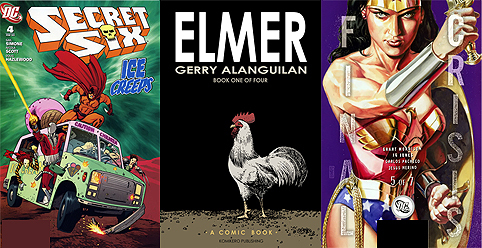 and Marvel’s Secret Invasion and check out a local indie entitled Trese! The rest of the episode is a Marvel bonanza from the quick shots to the panel discussion about Dark Reign, so DC fans, wait til next week. Lastly, be warned that this episode has a lot of spoilers. Don’t say we didn’t warn ya! Enjoy.